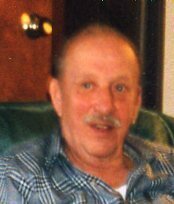 Richard E. Foos, 87, of E. Cole Rd., Fremont, OH passed away on January 6, 2013 at Countryside Continuing Care Center. He was born on August 31, 1925 in Fremont, OH to Clarence and Josephine (Giesinger) Foos. Richard married Anna M. Halbisen on April 14, 1951 at St. Joseph Catholic Church and she preceded him in death on August 25, 1994. Richard served in the US Navy during WWII. He was a radio operator serving on the PC 563 in the Pacific. He was employed by Whirlpool Corporation for over 35 years until he retired in 1990. Richard was a member of Sacred Heart Catholic Church and a life member of the Fremont V.F.W. He also enjoyed woodworking, fishing, camping and working around his house. Richard is survived by his children, Patricia (George) Omlor, Harlan, IN and James (JoAnne) Foos, Fremont, OH; brothers, Jerome Foos, Fremont and William Foos of California; grandchildren, Jeff Wood, Sean Omlor, Shelly Slaughter, George V. Omlor and Jeremy Foos and six great grandchildren. He was preceded in death by his parents; wife, Anna Foos; brothers, John, Bernard, Clarence and Joseph Foos; sisters, Mary Fry and Sr. Agnes Foos. Visitation: Tuesday from 2 to 4 and 6 to 8 p.m. at Wonderly Horvath Hanes Funeral Home & Crematory, 425 E. State St., Fremont, OH. Mass of Christian Burial: Wednesday, January 9, 2013; 11:00 a.m. at Sacred Heart Catholic Church, 550 Smith Rd., Fremont, OH. Visitation will take place one hour prior to the service at the church.